Jul’s Arthur is a vibrant and committed professional organizer, and putting together her site was a lot of fun. Though Jul’s may be an organizer, she didn’t want a “Martha Stewart” look–not by a long shot! Jul’s adores rich colours, golds, and lots of feminine details, and her branding simply needed to include those elements to reflect her dynamic personality. 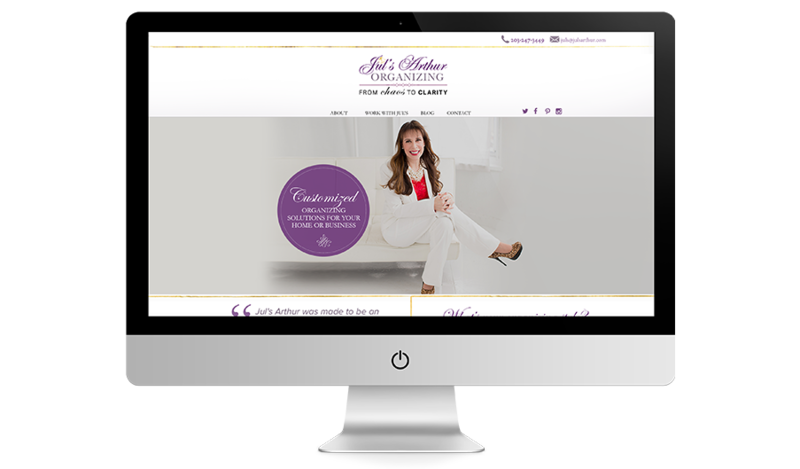 We were especially delighted to hear that the Conquer Club gave Jul’s new site the “Best New Website of 2016” award! Want to hang out on instagram?